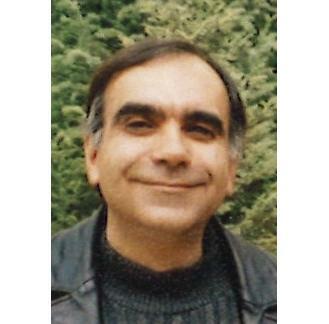 Funeral services for Masoud “Mike” Jalali, 59, Lawrence will be held at 10:00 a.m., Thursday, May 17, 2018 at WarrenMcElwain Mortuary in Lawrence. He passed away Saturday, May 12, 2018 at Lawrence Memorial Hospital. Burial will follow in Memorial Park Cemetery in Lawrence. Masoud was born August 29, 1958 in Isfahan, Iran, the son of Rahmotolah and Akhtar (Solaimoni) Jalali. He was a loving father and dedicated provider, owning multiple businesses including a taxi service. He married Cathy A. Ediger on December 1, 1979 in Kansas City, KS. She survives of the home. Other survivors include his mother, Akhtar, Lawrence; sons, Anthony F. Jalali, Lawrence, Justin M. Jalali, Georgia; brother, Khosrow Jalali; two sisters, Parvaneh and Parvin Jalali. He was preceded in death by his father, Rahmotolah in 2004. Memorial contributions may be made in his name to the Mayo Clinic in Rochester, Minnesota and may be sent in care of Warren McElwain Mortuary. For more information or to post a condolence go to warrenmcelwain.com. Please sign this guestbook at Obituaries. LJWorld.com.